We love homemade cookies especially warm right from the oven. Today I’m sharing an easy cookie recipe. 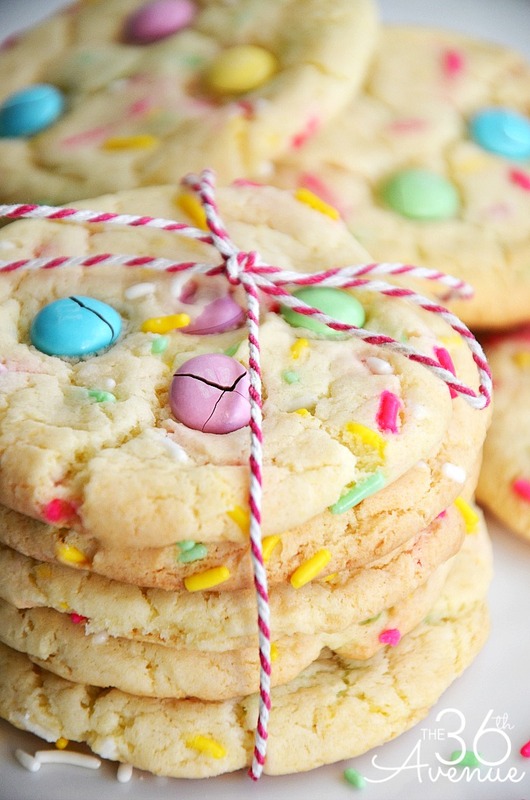 The best part about Cake Mix Cookies is that they are super quick to make and you need just a few ingredients. This time we are making my kiddo’s favorite, our Funfetti Cookies. 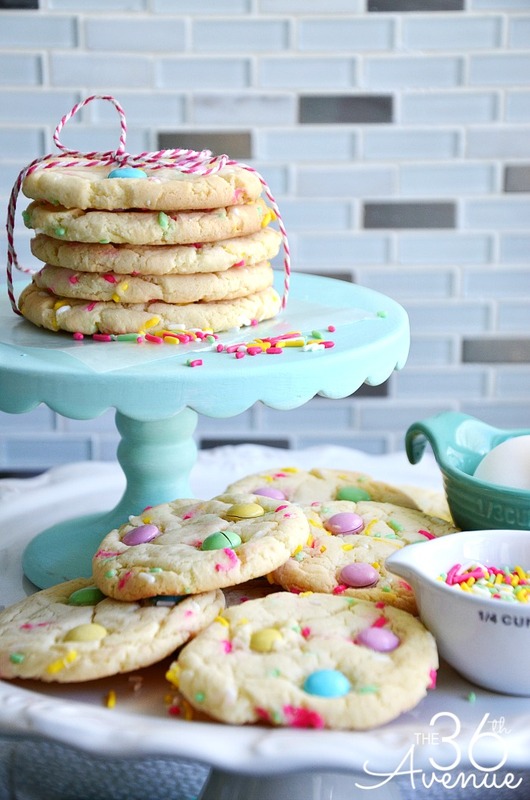 These are colorful, yummy, and perfect for birthday parties, and Holidays such as Easter. …they are going to love you! 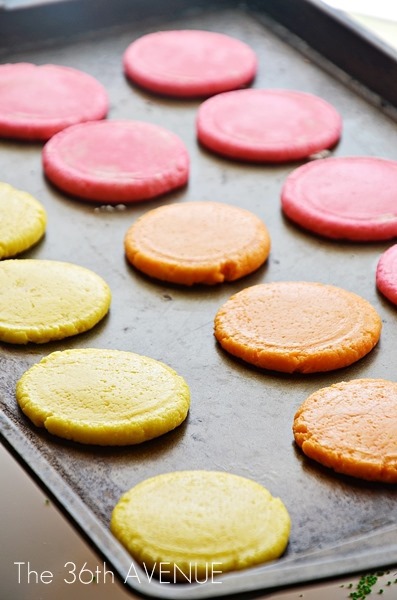 Here are some other fun colorful recipes that we love! These look delicious! How many cookies does the recipe yield? I make one w/ dark chocolate came mix. Then when you take them out of the oven put an Andes Mint on top. Let it sit for 1-2 minutes, to melt. Then take a knife & spread it around. It taste exactly like Girl Scouts Thin Mints! I need to try that… Thank you for stopping by! I’m going to try this recipe since my kids love funfetti cupcakes. These look yummy and your photos are lovely! Thank you Felicia! My kids love them and they are so easy to make! Can I use a box of the funfetti cake mix instead of white cake? 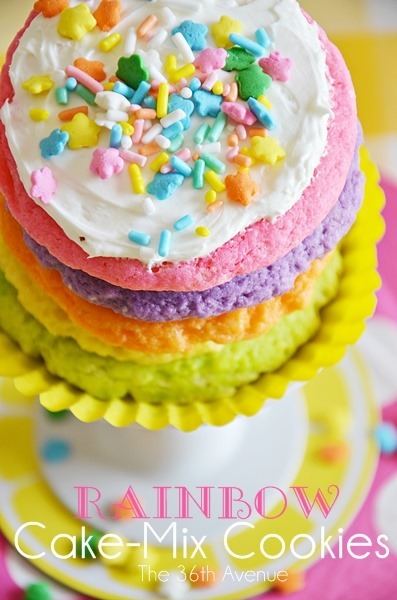 Desiree I´m a huge fan of yours and love to be detailful in life,I was in love with the idea of the funfetti cookies but IN Perú where I live I don´t know about the white cake box ;( is there anything similar I can use for it?any sugesstion I will be glad to hear. Lily you can make a basic sugar cookie recipe for it. 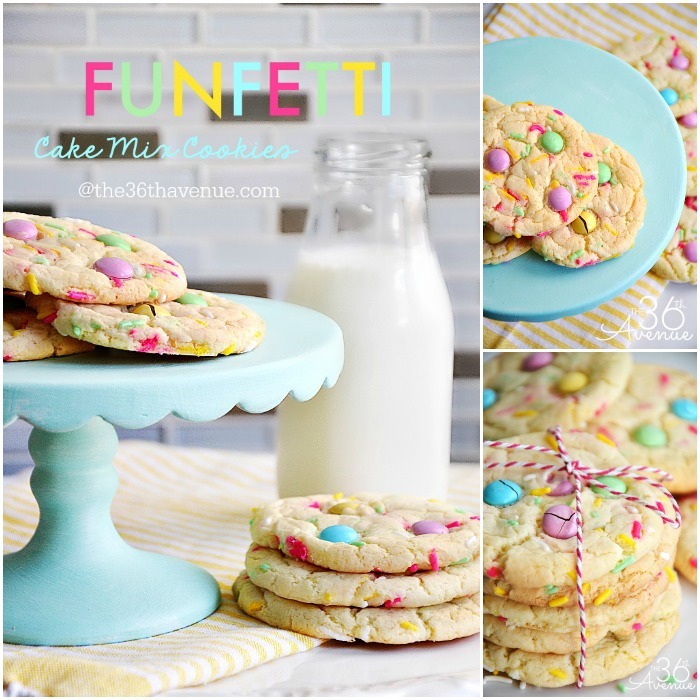 Can’t wait to make a double batch of the funfetti cookies for my little ones! My question is this, can you explain the part of “2 eggs and frosting?”. I don’t want to botch this one up. Oh my Annette! I just fixed it… Forget about the frosting!